The Volvo B10TL, commonly known as the Volvo Super Olympian, is a rear-engined, low-floor double-decker city bus built by Volvo Buses since 1998. It is the successor to the three-axle Volvo Olympian, while the two-axle version was replaced by the Volvo B7TL. Designed for the Asia-Pacific market, the bus was highly popular in Hong Kong, with many units exported there. 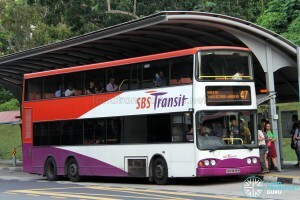 SBS Transit is the sole operator of the Volvo B10TL in Singapore, with 51 units delivered between 1999 and 2002. 50 units were built with bodywork by Volgren of Australia, and one unit was bodied by ComfortDelGro Engineering, a subsidiary of SBS Transit’s parent company ComfortDelGro. The Volvo B10TL chassis was designed based on its predecessor, the Volvo Olympian. The front radiator was moved behind the front axle to free up space for rear components. To further lower the chassis, dropped axles were implemented; however, they also removed the passive steering function of the middle axle (which was present in the Volvo Olympian). As such, Volvo B10TLs display noticeable tyre screeching from the middle axle while navigating tight corners. The original passive suspension system has been upgraded to an electronically-controlled semi-active suspension. 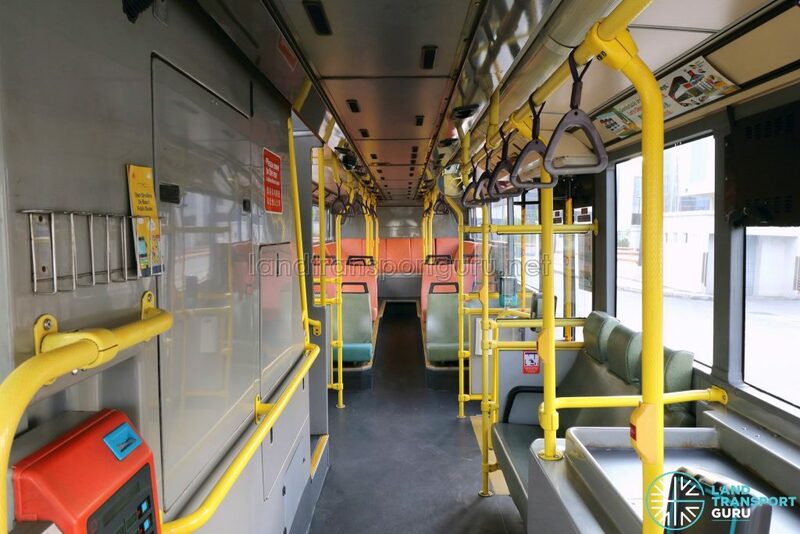 A unique feature of the bus is that after turning, the suspension unit does not automatically stabilise until the bus becomes stationary. Until then, the bus will slant towards the left or right. 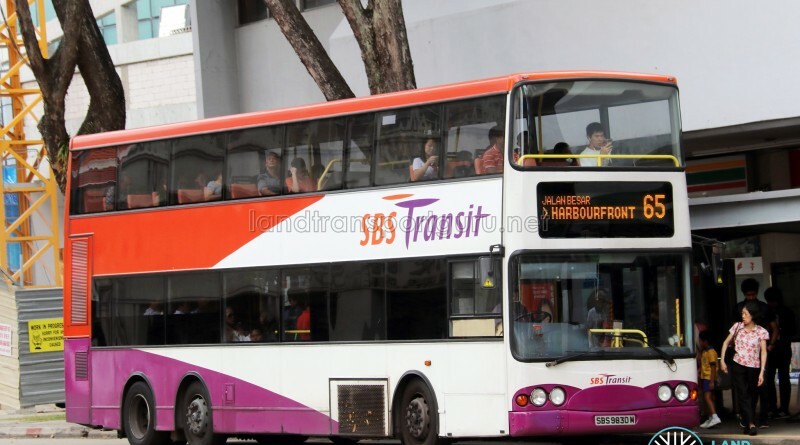 Prior to the intake of the Production Batch of Volvo B10TL buses, a demonstrator unit (registered SBS9888U) was trialled by Singapore Bus Service (SBS), starting in November 1999. 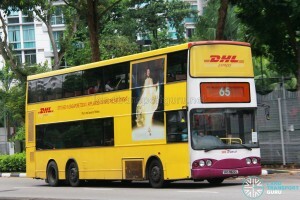 It was the first low-floor double-decker bus to be introduced in Singapore. After the successful trial, Singapore Bus Services placed orders for a subsequent batch of 51 Volvo B10TLs chassis in 2001, with 50 units built with the Volgren bodywork. They were registered between 4 Apr 2002 and 11 Apr 2003 as SBS9800A – SBS9849K. Bodywork produced by Volgren in Australia. Assembled in SBS Engineering Pte Ltd at Hougang Bus Depot (except two units). 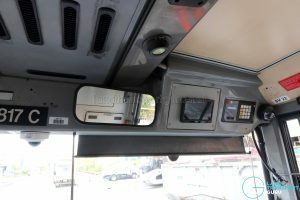 Unlike SBS9888Y, these buses were not equipped with Electronic Display Signs (EDS) when newly-delivered, relying on the traditional plastic destination plate instead. SBS had opted for the Voith DIWA 863.3 transmission for all units, but some would later be re-fitted with the ZF 4HP 590. SBS9810X was built at Irvine, Scotland, and following the plant’s closure, the remaining units were built at another Volvo plant in Wroclaw, Poland. 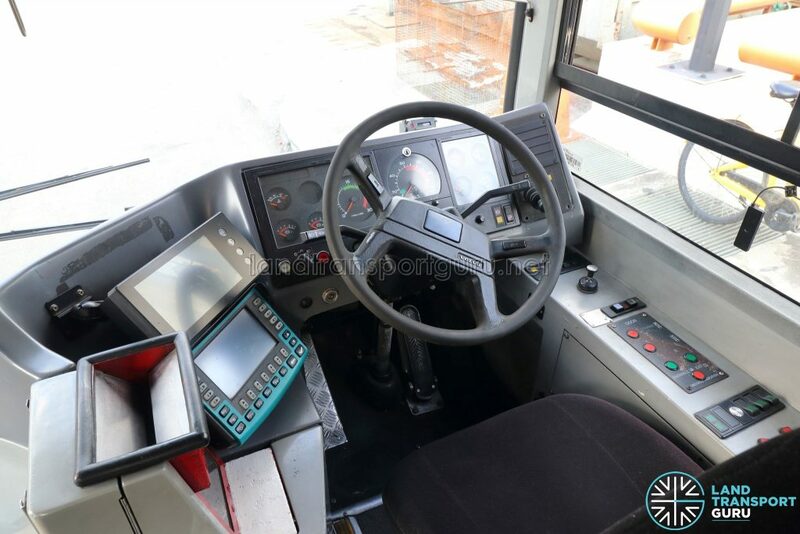 All buses were built with the Volgren CR222LD bodywork in completely knocked down (CKD) kits and assembled locally by SBS Engineering Pte Ltd at Hougang Depot with two exceptions. Firstly, SBS9810X was fully assembled by Volgren in Australia. In the process, it was fitted with a Transit Media EDS unit. SBS9800A is the other exception, having been assembled locally by Soon Chow. 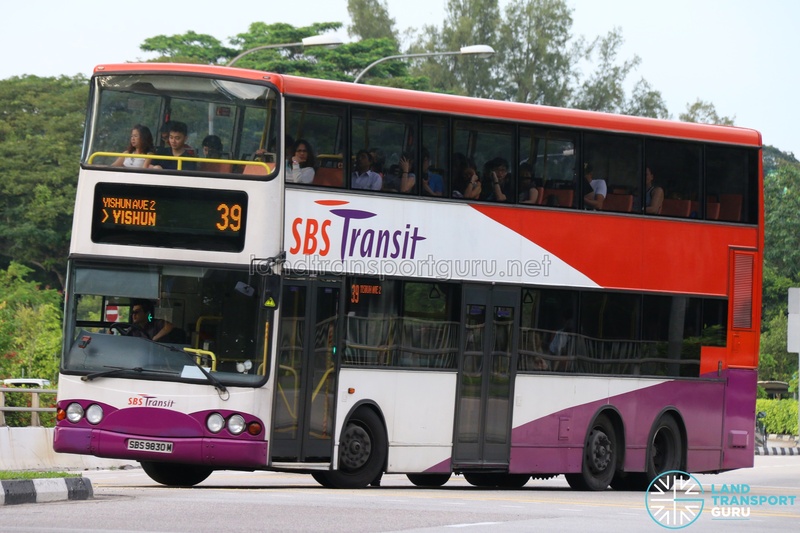 While SBS9800A entered service in April 2002, the remaining 49 buses of the Production Batch would only enter service in April 2003. 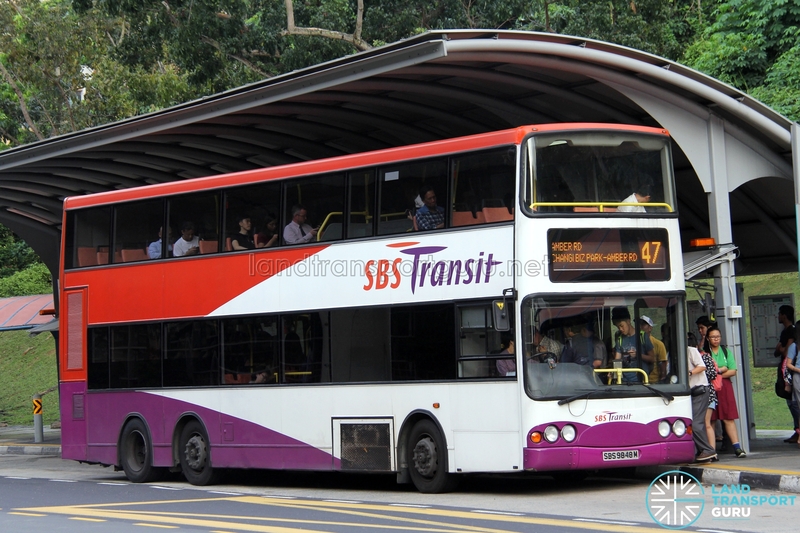 Currently, SBS Transit’s Volvo B10TLs are operated solely out of East District bus depots. 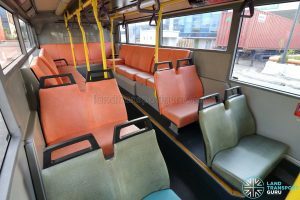 The Volvo B10TL has a licensed capacity of 125 passengers, with 55 upper deck seating, 28 lower deck seating, and 42 standing passengers. Despite the low-floor design, wheelchair ramps were never installed, unlike the other Volvo B10TLs in Hong Kong. Seven of the Volvo B10TLs had their original Voith DIWA 863.3 gearbox replaced with the four-speed ZF Ecomat 4HP 590 transmission. 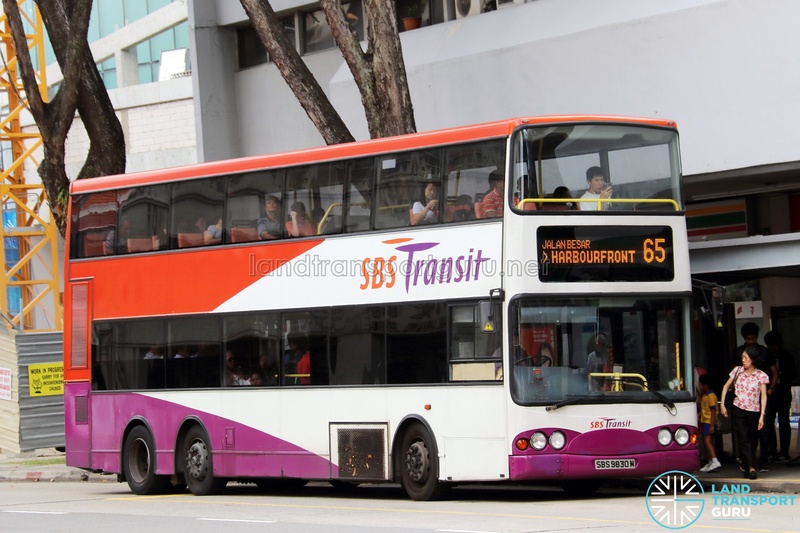 They were SBS9805L, SBS9806J, SBS9812R, SBS9817C, SBS9825D, SBS9827Z & SBS9834C. SBS9812R has since reverted to the Voith DIWA 863.3, leaving a current six units with the ZF Ecomat transmission. 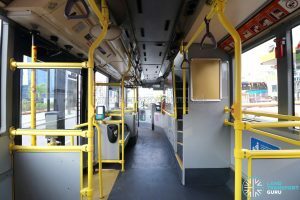 In Dec 2011, SBS9822L was the first Volvo B10TL of the Production Batch to receive an EDS upgrade, with a LECIP EDS similar to those installed on the Batch 3 Volvo Olympians. The upgrade was short-lived; about a week later, the EDS was changed for a larger LECIP EDS, of similar size to SBS9810X’s original EDS. Eventually, all Production Batch B10TLs received this upgrade, including SBS9810X, which had its original Transit Media EDS replaced. 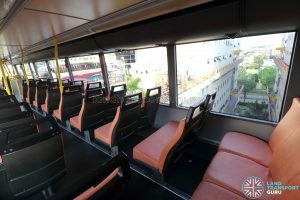 The lower deck of the bus features 28 permanent seats. 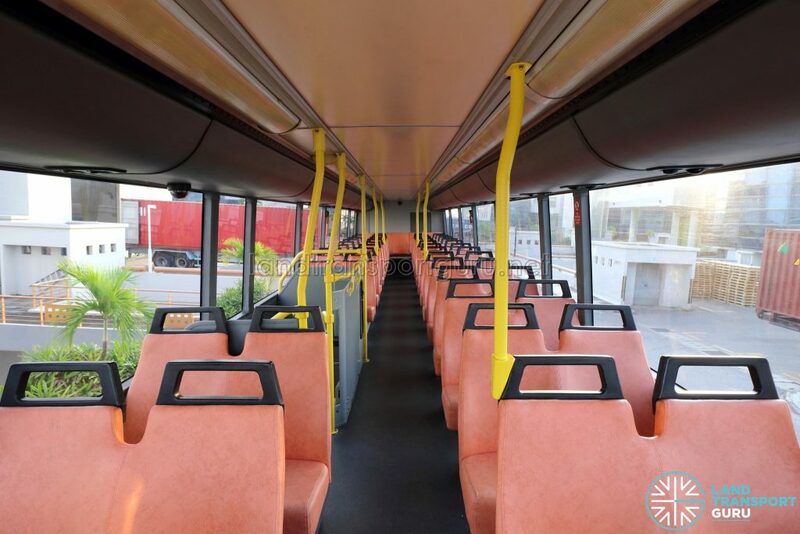 Being a low-floor bus, the bus offers step-free access from entry/exit doors until the last row of seats. 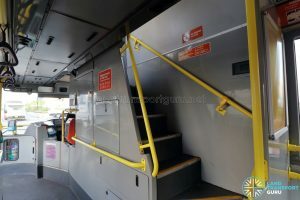 A staircase behind the driver’s cab connects the lower and upper decks. 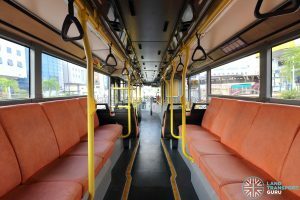 Like most double-deck buses in Singapore, the Volvo B10TL (Volgren) buses are configured with two doors: an entrance door at the front, and an exit door in the middle. The entrance doors are conventional inward-swinging leaf doors, while the exit doors are outward-swinging swing plug doors. They are supplied by SMC Transit, and are pneumatically operated. Opposite the staircase, there are three side-facing priority seats, reserved for elderly and handicapped passengers, and passengers travelling with young children. They are indicated in olive green seat covers. 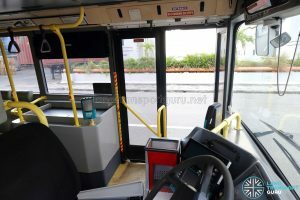 A standing area is located behind the staircase and opposite the exit door, taking the place of a wheelchair bay onboard many newer buses. 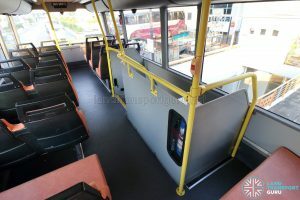 Although the Volvo B10TL offers low-floor access, it is not equipped as a wheelchair-accessible bus and thus also does not have a wheelchair ramp. Grab poles and hand grips are located on both sides of the aisle. All seats also have hand grips to provide commuters with additional support. Bus stopping bell-pushes are located around the bus cabin, either mounted to stanchion poles or on the pillars in-between windows. Emergency hammers are also located on these pillars. 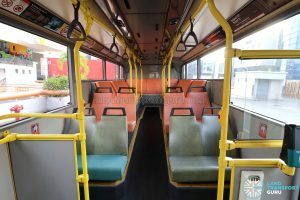 The seating layout at the rear is similar to the older Volvo Olympian and Dennis Trident buses, with two rows of front-facing seats followed by side-facing seats all the way till the last row, which is comprised of 5 front-facing seats. 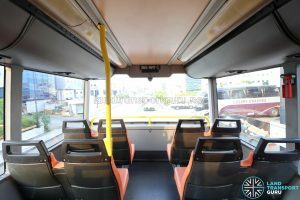 This layout was likely chosen to avoid interfering with the wheel wells of the rear axles, but Volvo B10TL buses in other regions have accommodated front- and rear-facing seats throughout the lower deck. 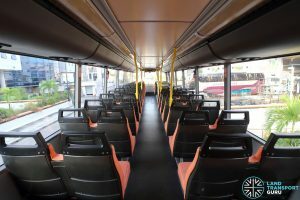 The upper deck of the bus is laid out in a conventional four-abreast seating, with a central aisle running the length of the bus. There are 55 seats on the upper deck. Grab poles run the length of the aisle for commuters moving around the bus. All seats also have hand grips to provide commuters with additional support. Bus stopping bell-pushes are located around the bus cabin, mounted to stanchion poles. Emergency hammers are also located on pillars in-between windows. 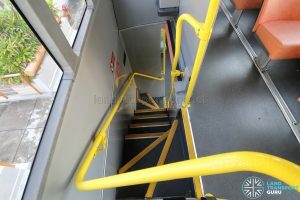 The staircase allows for passenger movement between the lower and upper decks of the bus. A seat counter (LED number display) on the lower deck displays the number of available seats on the upper deck. The turquoise display unit on the bottom left is the New On-board Bus Equipment (NOBE) fare collection system. Just above that is the Trapeze Common Fleet Management System (CFMS) display unit. Door controls and the handbrake lever are located on the right of the driver.